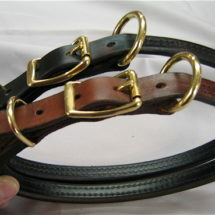 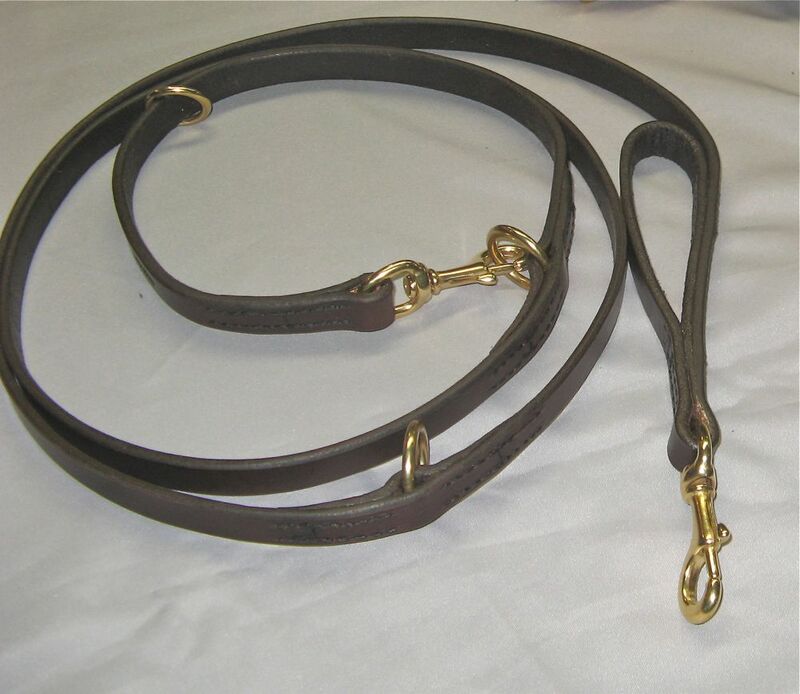 This lead is made of Premium 3/4″ Heavy English Bridle Leather, comes 8′ overall length in Havana Brown. 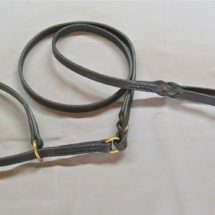 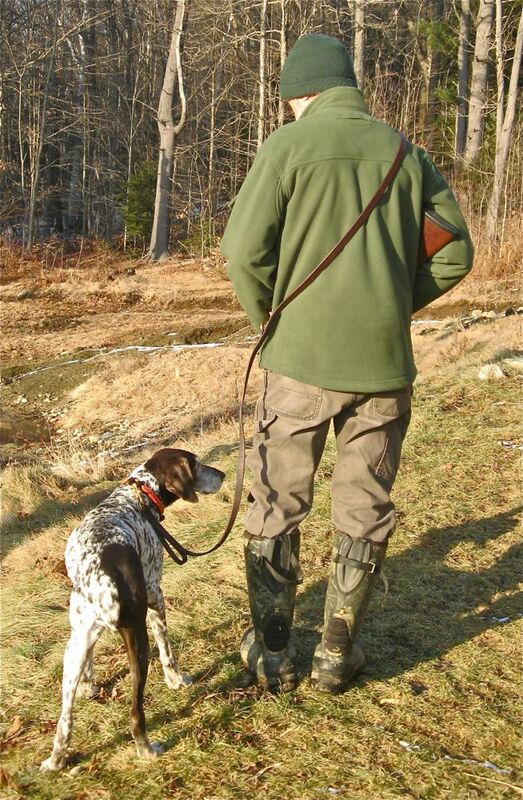 There is a grab loop at the dog end, a body loop, slip/tie out ring & handle. 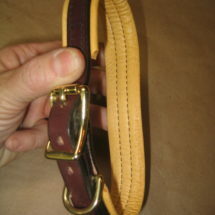 Stitched throughout w/beveled finished edges and Solid Brass hardware.